I have one regret about the fresh chocolate mint-vanilla ice cream and ginger beer float pictured above. I didn't have time before the dinner party to make my own ginger beer Ol' Doc Gus style. Oh, and the picture is a little blurry, but I don't regret that because my priority was on taking care of my guests. Regrets aside, the dessert was pure delight in a glass, and the difficulty level was low because I have an electric ice cream maker and I didn't make my own ginger beer, this time. As you may have read, Wonder Woman and I have chocolate and apple mint growing in our garden. The night before making the ice cream I put the bowl of the ice cream maker into the freezer and then cut and muddled a generous handful of fresh chocolate mint. 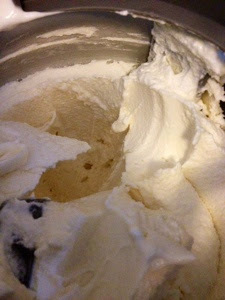 Next, the mint went to soak over night in the refrigerator inside of two cups of heavy cream and two cups of milk. 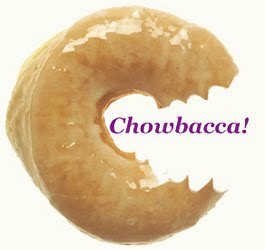 The next day those minty-fresh dairy products were strained of plant material and mixed with three-quarters of a cup of sugar, two (*cough* THREE) tablespoons of home made vanilla extract, and a pinch of salt Emeril Style, BAM! Then I poured the whisked works into the frozen ice cream maker bowl and let the machine do its koo-koo ice creaming thing. After coming out of the machine and spending a few hours in the freezer the ice cream was smooth, creamy, and just right for scooping. The mint flavor was delicate, not harsh like chemically-flavored mint ice creams. 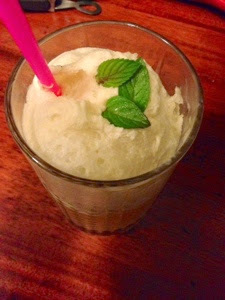 When combined with some Reed's Ginger Brew for floats after dinner the flavors danced happily on our tongues. A triumph! Next time I'm going to take the time to make my own fresh ginger beer with baby ginger. For now, wow! I'm glad that I have more of that ice cream left.